NYC, 04/19/2019, 6:00PM. 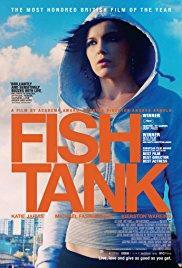 Fish Tank (2009): Mom's New Boyfriend. Everything changes for 15-year-old Mia when her mom brings home a new boyfriend. Movie snacks and beverages provided, with a post-film discussion hosted by Prof. Daniel Rodriguez-Navas.